Showing results for tags 'logic stage'. 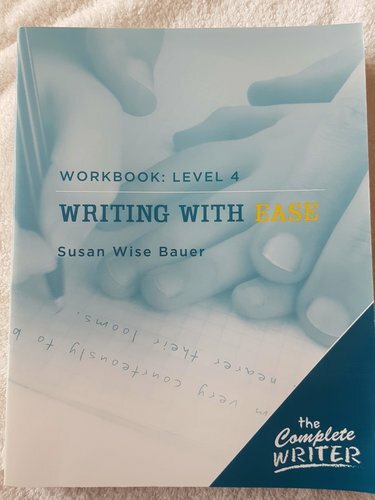 For grammar and writing for my fifth-grader, I'm planning to use Grammar for the Well-Trained Mind and Killgallon's Middle School materials, and I'm trying to decide whether to use both Killgallon's "Sentence Composing" and "Paragraphs" or just "Paragraphs." Would Killgallon "Sentence Composing" be redundant if I'm using Grammar for the WTM? I think it might make sense to use both, but I can't tell for sure looking at the samples. I have 2 of these that I am selling in 2 separate posts. This copy is clean, but has some shelf wear to the cover and edges of pages, and the back cover is warped from where it got wet. Non-smoking, pet-free home. Media mail shipping included. I inadvertently ended up with 2 of these, but used neither. (I'm selling the other in a separate post.) This copy is like new. Non-smoking, pet-free home. Media mail shipping included. Very good condition. Clean copy, with just some shelf wear. Non-smoking, pet-free home. Media mail shipping included. Very good condition. Some shelf wear on cover. Non-smoking, pet-free home. Media mail shipping included. Includes basic map skills work, as well as US geography study. Each page has a brief explanation, then a worksheet to complete. Author is Milbrey Zelley, publisher is Wieser Educational, Inc., Mission Publications. 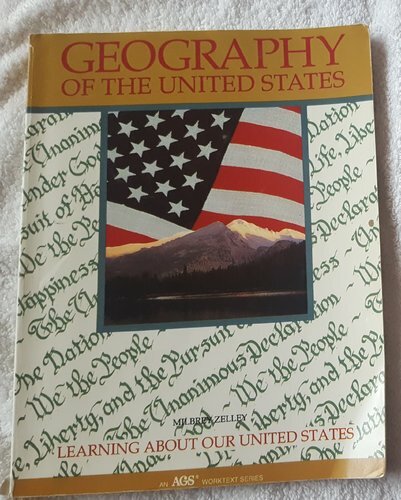 It is a public school worktext, and not a complete curriculum, but would make an excellent supplement to other US geography work. Clean copy, some shelf wear. Smoke-free, pet-free home. Media Mail shipping included. What "grade" for this child? 6th or 7th? I need to figure out what "grade" to consider my middle schooler, and am grateful for help in figuring this out! I am thinking: 6th or7th? There is -- of course -- a long story about where we are now, but the shorter story is that I have homeschooled this child since PreK. He is precocious/accelerated, sensitive, not 2E, and is difficult to teach; and he grew up in our household with my husband's parents living upstairs from us. About two years ago his grandfather died, and shortly after that my son's academic abilities sort of just melted down. He went from being able to do AoPS algebra to having trouble with multi-digit arithmetic; he couldn't write grammatically correct answers to questions; his reading comprehension from IRs was about nil; and so on. I did not make the association with his grandfather's death, which was an incredibly stressful event for the family for many reasons, at the time. In response, and also in order to make sure that I could provide educational growth during a time when my husband's mother needed a good deal of attention and support, I moved him to Memoria Press as a rigorous educational option. I had to put him into their 2nd grade materials in order to avoid stressing him out; for math he began in 3rd-grade equivalent work. We've worked at our own pace and tried a lot of things, and this June saw him finish their 6th grade (corresponds to the work done in their 5th grade at the brick-and-mortar school). Here's where we are now: Reading: is a skimmer. He reads well above grade level and tests high, but does not read classics on his own. He can do, without stress, the reading that corresponds to MP's brick-and-mortar 7th grade. I would have to make him read their literature (at the level of Treasure Island) out loud to get him to read it carefully. Grammar: fine. We've done FLL, Grammar Island, MP's grammar, and are dabbling in Grammar Town. I am liking the looks of ALL!!!!! Spelling: Still remediating: we're in All About Spelling 5, having started in 2 or 3 at the beginning of the year. He is moving quickly and easily through AAS. Math: Nearly finished with Math U See Algebra. Please be kind about MUS :). Also drills; this year read Mathematicians are People Too. Science: been backburnered, can do Novare's middle school books (Physical Science, Earth Science) without stress. Strong knowledge base. History: we've done the Famous Men of Rome and Middle Ages, and we need a better balanced history. I trialed him on WTM methods and he can do decent summaries and 2-level outlines, he'd need a bit more practice before doing 3-level. Latin: finished 2nd Form Latin with online class, will do Third Form this year, summer work is some Familia Romana + review. Greek: finished Greek Alphabet, doing First Form Greek 1 page per day. Penmanship: totally legible, neat cursive. whoo-hoo!!!!!! ETA Composition: largely informal this year. He can write across the curriculum WTM-style at 6th grade level, and can do the writing in Classical Writing Maxim -- this is what we're doing, at a very light pace, over the summer. He is 11yo, turns 12yo on August 30 of this year. I started him in 1st grade at 6yo, which would put him in 7th, but I am unsure about his maturity. Well, I know he is "immature" -- he still carries his favorite stuffy around and in the car (but only around family members, not friends). But I am at a place where the work I plan will depend on how I think of his grade level, and if we are 2 or 3 years from high school, and so on. Especially if we move further from MP and closer to WTM methods and/or materials. He doesn't care what grade he is "in". thanks so much for your help! I could use a little help here. We started out unschooling and when I realized that that was going to takes to a dead end I turned our ship and we've been trying to catch up since then. Both my 13yos are neuro-typical kids. What I've been doing is I've been assigning them about a weeks worth of work and then when they finish it they get a day of free time (plus regular chores). The next day is then a chore day and then we're back to another week of work. Because they're motivated to get their free-time day this usually gets done in about 4 days. They're managing to do school work 3-4 hours per day. We don't do M-F because dh's work is all over the place and so this has been a more accommodating schedule. Here's what we've been doing per "week" (this is embarrassing - go easy on me please :blushing: ): *Bible devotions and memory work with singing (including voice training) and some light music theory daily *WWS1 - 4 lessons (we're currently on wk 15) *MEP Y5 for one and Y6 for the other - about 5 pages each, sometimes I skip stuff depending on the child so then we get through more pages. (MEP is a little accelerated so this is more like grade 6 and 7) *A chapter or so of Science reading from a 1950's public school text - no labs or any feed-back besides me asking some comprehension questions. I've been reading Crucibles out loud to them and I've assigned them some living books like Uncle Tungsten and Napoleonâ€™s Buttons in the last few months. This isn't weekly though. *Geography country study - one country per week, fill in a generic worksheet *Typing- 1 hour per week *R&S Grammar Y4 at a very accelerated pace - like 15-20 lessons/wk *They read plenty of lit at about their expected reading level so I don't assign any. We talk through what they've read *History- they have a pretty good knowledge base from read-alouds but I feel like we need to get into a little more meat *Some weeks dh does a few hours of electronics and electrical physics with ds and I spend some time with dd teaching her to sew. Unfortunately this tends to eat into our other school time. Obviously we're behind but I don't know exactly know how to move on from here. Just this week I wanted to have them write a summary of the history of Korea because they both floundered on the history of Korea on last week's worksheet. I realized though that they are just not able to do this yet. I reassigned them to doing an outline of the World Book encyclopediaâ€™s history of Korea article. This was do-able. This frustrates me because I know that they're able understand the reading material but they don't have the writing skills yet (stupid unschooling philosophy!) to get their thoughts out. How should I plan for them long term? What's next? I feel like I'm lacking some vision here. I don't want to just get a history and science textbook and then answer some questions every chapter. I want them to be able to explain what they've learned in written form. Ultimately, I want them to be able to understand anything they set their minds to, without me holding their hands, and then be able to teach it to others in written or verbal form. How do I accomplish this? Some compounding factors are that we have a slough of littles that are always interrupting so any suggestions need to be fairly hands-off from me. I've been casting about, trying to figure out what to do for grammar for middle school, either later this year, or next, but I can't decide what would work best for DD. She's a visual-spatial/whole-to-parts learner, pretty quick on the uptake, good at learning in context, but terrible at rote memorization. Humor, pictures and color are good things. She's had some exposure - we've done Treasured Conversations, FLL4, Daily Grams 5, and Grammar Island, but nothing consistent from year to year. So far, the best thing has been Super Grammar, which is basically a comic book describing each part of speech or concept as either a hero of villain, but it's just a book, no practice. R&S and CLE are out of the question, as they cause tears and frustration on both our parts. 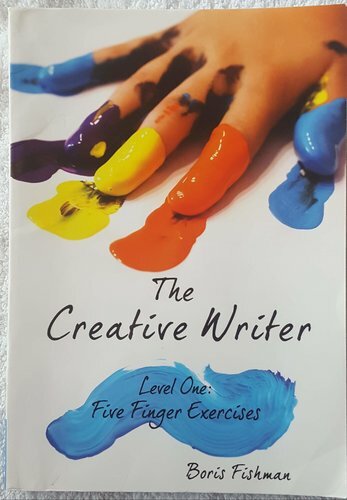 The Language Mechanic, The Giggly Guide to Grammar and ELTL are on my short list, but I have zero experience with any of them, so I don't know which would best fit my needs. I'm sure there are others I'm not aware of. What would you recommend for this child? I'm planning to use Build Your Library next year, which does not include grammar or spelling, but covers all the other English areas.